Friday is coming a little early this week. I’ve never missed a weekly Freebie Friday and I don’t plan on doing it now. Although this week’s Freebie Friday is actually going to be Freebie Wednesday since I am going on a mini-vacation. Did you know that National Wine Day is May 25, 2018 this year? I know there are a lot of wine drinkers out there that love to plan while drinking wine. 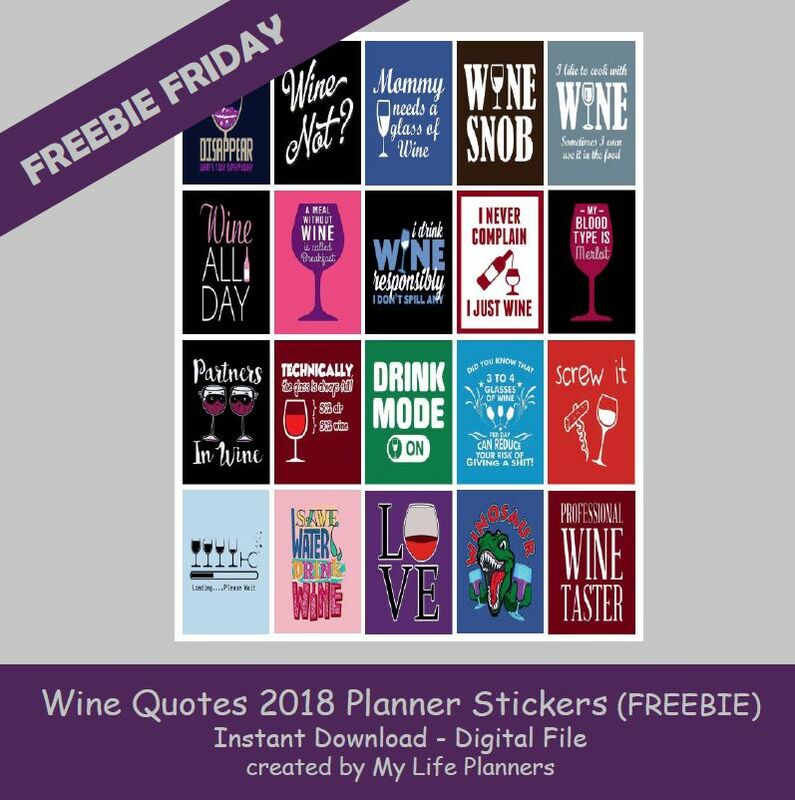 Naturally, I had to celebrate and that is why this week’s Freebie Friday feature is Wine Quotes. Whether it be red or white sometimes we should take life as we do with our wine, and take it one sip at a time to savor it all. Happy National Wine Day! In case you missed Wine Quotes 2017 Planner Stickers you can revisit and download them from here.